Heavyweight duo Dillian Whyte and Lucas Browne are never short of a word or two, so it was no surprise to hear some intense animosity between them when they finally sat across the table from one another. The pair traded insults at a London press conference yesterday and provided promoter Eddie Hearn with the kind of “beef” he loves to build a proper grudge match with. Hearn’s father Barry loved a good grudge match, right back to the days of Benn and Eubank, and Hearn Jr uses the same formula in pretty much every big fight he promotes now. Browne certainly looks the type for a bit of verbal sparring anyway. Covered in tattoos and with a stocky frame, the Aussie resembles a no-nonsense nightclub bouncer who is placed on a door to intimidate. Whyte is no shrinking violet himself and the Jamaican-born Londoner claims that he is more fearful of his mother than Browne! Whyte did, after all, stay planted to his seat and barely flinched when Dereck Chisora launched a table across the room, when the pair met in yet another grudge match last year. Whyte has also enjoyed a long-running feud with Anthony Joshua that spanned back to their amateur days and he had plenty to say to British title rivals David Allen and Ian Lewison before each bout, so he’s not afraid to pump up a contest. Whyte currently has a lofty ranking with both the IBF and WBA (sitting just inside both respective top fives) and is ranked number one by the WBC and in prime position for a crack at Deontay Wilder. Dillian wants either that or a rematch with Anthony Joshua as he closes in on a world title shot in 2018. To see Whyte fight for a world title would be fairly surreal given his struggles against lesser opposition, but stranger things happen in the world of boxing and it would not be a surprise to see him enter the ring as a challenger to one of the major title holders. 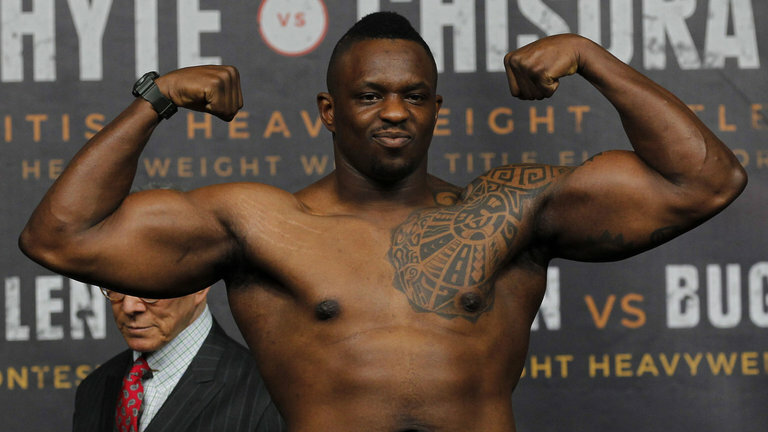 “If I can put on a good show in front of a good crowd at The O2 then they can’t deny me,” said Whyte. That’s the question though – can Whyte put in a standout performance against Browne to persuade the American power brokers and US TV that he is capable of performing and exciting at the highest level? His fight with Chisora was an entertaining -if slightly messy at times- affair and Whyte won a close decision that was disputed in some quarters. His most recent win over Robert Helenius hardly set the pulse racing, so a big display against Brown is needed. Whyte has shown heart and courage in both his wins and losses and the same can be said of Browne. Even though Whyte described his 38-year-old foe on March 24 as a former world champion, that claim is slightly spurious given the fractured nature of world titles today. Browne travelled to Grozny, Russia to take on veteran southpaw Ruslan Chagaev in 2016 for a WBA version and showed great guts and determination to fight through cuts and a knockdown to stun and finish Chagaev in round nine, being widely behind on the cards at the time. That type of spirit will serve the big-punching Sydney resident well when he faces Whyte in a fight that is unlikely to go the 12-round distance. Is Tony Bellew vs David Haye II PPV worthy?